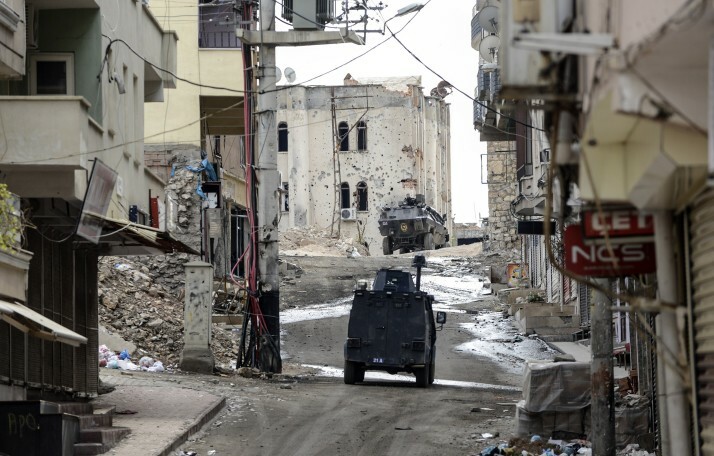 The events of late 2015 – early 2016 show the US-Turkey ties are getting stronger. The Turkey’s role of a NATO's southern flank bastion is growing. The Islamic State, which is financed by illegal exports of oil through the Turkish territory, is used by Washington and Ankara to justify intense coordinated military activities. 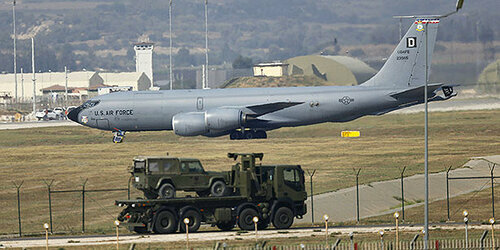 Turkey has permitted the use of İncirlik, Diyarbakır and Batman air bases by its Western allies. US Defense Secretary Ashton Carter visited Incirlik on December 15. He urged Turkey to better control its border with Syria, particularly a roughly 60-mile (98-km) stretch believed to be used by Islamic State for illicit trade and for shuttling foreign fighters back and forth. On December 11, the United States finalized a bilateral agreement with Turkey over the rules for combat air patrol missions in Turkish airspace for future American aircraft deployments. Representatives of the 28 NATO member states decided in Brussels on December 18 to significantly increase the alliance’s military presence in Turkey. Turkish airspace is to come under stricter surveillance by NATO fighter jets and AWACS reconnaissance planes, and further NATO warships are to be dispatched to Turkish ports. On January 5, Joseph Dunford, Chairman of the US Joint Chiefs of Staff, visited Ankara to hold a series of meetings, including the Chief of Turkish General Staff Hulusi Akar, İsmet Yılmaz, Minister of National Defence and other military leaders. He also met with Turkish Prime Minister Ahmet Davutoglu. No matter, few comments were made about the agenda, local media mentioned a wide range of security issues on the round table, including the Russia-Turkey relationship, Russia’s involvement in the Syria’s conflict and its support of the Bashar Assad’s government that angers Turkey so much. Dovutoglu went as far as to blame Russia for the death of Syrian asylum seekers trying to get to Europe. After the talks in Ankara were wrapped up, Dunford said in his comments that the United States and Turkey saw eye to eye on the problems and the ways to tackle them together, including additional military aid and training of Sunni rebels in the alleged fight against the Islamic State. In his turn, the head of Turkish General Staff expressed concern over the Kurdish self-defense forces intensifying their activities to the west of Euphrates River. Their offensive actions could result in a unification of Kurds enclaves in Kobani, Afrin and Jazeera paving the way to creation of a Kurdish autonomous region in the north of Syria – something Ankara strongly opposes. According to Pentagon’s press-release, the «Russian problem» was an issue on the agenda. It was discussed against the background of the statement Dunford made on January 4 in Stuttgart (NATO AWACS aircraft are to be moved to Turkey from Germany) saying that Russia is a challenge to the United States and its allies. The US Vice President Joe Biden’s visit to Turkey is slated for January 23. The Vice President is expected to discuss the problem of Islamic State (Turkish media mention that a strategically important town of Manbij in the Aleppo province is under the terrorist control), as well as Syrian Kurds. Other issues may be added to the agenda. Last time Biden visited Turkey in 2014 was right before the visit of Russia’s President Vladimir Putin during which the prospects for the Turkish Stream gas pipeline were discussed. The pipeline, like many other Russia-Turkey economic projects, has been frozen after a Turkish fighter plane downed a Russian bomber in the Syrian air space on November 24, 2015. Some regional outlets affirmed that Biden had a role to play in making Erdogan commit the provocative act. Soner Cagaptay writes in the article published by The Wall Street Journal that Turkey’s policy of rapprochement with Russia and Iran has turned out to be catastrophically wrong. Today «new old friends» (Europe, Israel and the US) are ready to lend a helping hand while Turkey’s four key non-European neighbors – Russia, Iran, Iraq and Syria – are allegedly joined in a historic, newly formed axis against Ankara. The author believes that the normalization of ties with Israel will get Turkey back to the 1990s: good ties with the US, bad ties with Iran, Iraq, Russia and Syria, a working relationship with the EU, and cooperation with the Iraqi Kurds who help Turkey against the PKK. Erdogan says, the normalization of ties with Israel would meet the interests of the United States. Teams of border security experts, particularly from the US Department of Homeland Security, will come to Turkey. It’s not very clear what exactly they will do. It is logical to assume that Saudi Arabia is included into the list of «new, old friends» of Turkey. For instance, Foreign Minister Mevlut Cavusoglu during his trip to Saudi Arabia, said that Turkey, a North Atlantic Treaty Organization member, supports the Saudi-led Islamic coalition against terrorism. It should be noted that the operations of Turkish military in the areas with predominantly Kurdish population are largely hushed up. These activities are scarcely highlighted in Western media. The Voice of America tackles a wide range of propaganda tasks. It draws attention to the key role of Turkey in the «anti-terrorist coalition» headed by Washington. The Justice and Development Party (AK) Deputy Şaban Dişli emphasizes the "multilayered" and "crucial" nature of US-Turkey relationship for Ankara and the region as a whole. One of the issues on the agenda is Turkey’s would-be membership in Transatlantic Trade and Investment Partnership – TTIP. Whoever wins the US 2016 presidential race, Ankara will move closer to Washington (there are some powerful pro-Turkey lobbyists working inside the Beltway). Neo-Ottomanism, an ideology of expansionist nature, guides the country’s foreign policy. To certain extent, it is closely intertwined with the US-advanced Greater Middle East project aimed at reshaping the political borders from the Eastern Mediterranean to South Asia. The Middle East is sliding into permanent instability and chaos to involve Europe, which is unable to cope with refugee flows, the Caucasus (everyone remembers well the US-Turkey friendship coincided with two wars in Chechnya) and Central Asia. The process of involvement is gaining momentum. No doubt Ankara and Washington will implement their geopolitical plans at the expense of the countries that oppose them. The support of «good insurgents» (the so-called «moderate» Syria opposition) is an element of such policy leading to the spread of terrorist threat. Western media is already informing about «stunning» achievements of Raqqa-based scientists producing a homemade thermal battery for surface-to-air missiles. It’s only logical to assume that the concentration of Turkish troops at the Syrian border with the United States providing logistical support could become another challenge for the Russian forces in Syria. 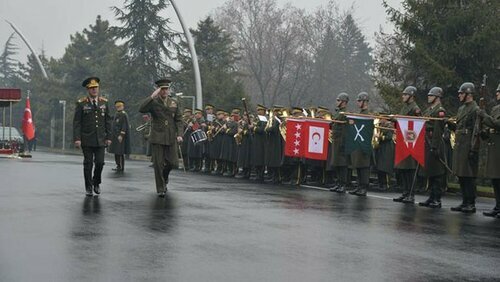 Turkey continues to use its good old instruments as the means to implement its regional policy. And the reasons behind the support of terrorists, no matter if they are called the Islamic State or «moderate opposition», remain unchanged.